Rescue Copper Wins CGN Certificate! 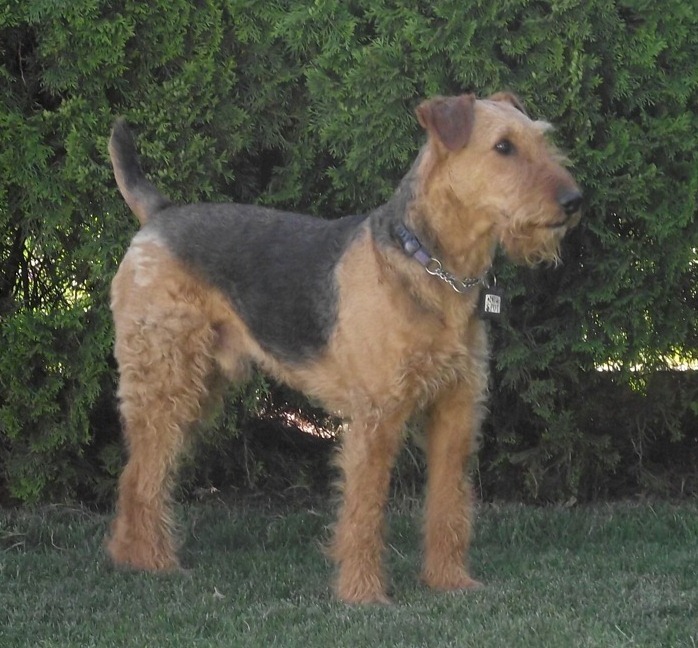 Rescueboy Copper, an Airedale who spent much of his early life outdoors by himself, passed the CKC Canine Good Neighbour test recently. His current owner is very happy with his results. AirCanada would like to congratulate both Copper and his owner, Teri, for a terrific achievement. This shows what good care and excellent training can accomplish. Our thanks to Copper’s present owner not only for rescuing and choosing to provide a home for Copper but also for her ability to see the intelligence and potential in this Airedale. We salute you both! What a great achievement…congratulations Copper! And thank you Teri. I can’t believe someone can keep them outdoors. They don’t shed or smell; I crate trained my two for six weeks and they had the run of the house, not one problem. Good for Cooper! Congratulations Copper and Teri!! This is a proud achievement for a rescue Airedale. You’ve done us all proud!